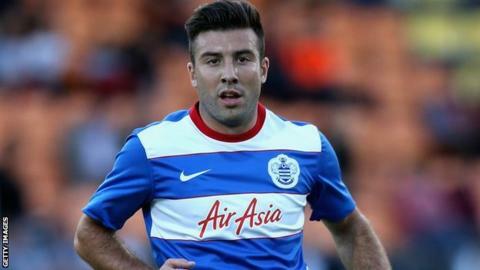 Queens Park Rangers midfielder Michael Doughty has signed a two-year extension to his contract. The 22-year-old's previous deal was due to end next summer but he is now under contract at Loftus Road until 2018. A product of the Rangers youth system, Doughty has played 11 first-team games for the club, seven of them this term. "I have been given more opportunities than I have been used to previously and now I really feel part of the first-team set-up," he told the club website. Doughty has had loan spells with Gillingham, Stevenage, St Johnstone, Aldershot and Crawley. "He serves as a fantastic example for the younger age groups here," said QPR director of football Les Ferdinand. "He is proof that a pathway from the academy to the first team exists. My aim is to ensure more players follow in his footsteps."